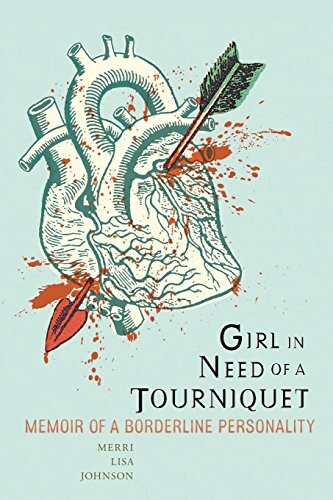 An honest and compelling memoir, Girl in Need of a Tourniquet is Merri Lisa Johnson’s account of her borderline personality disorder and how it has affected her life and relationships. Johnson describes the feeling of “bleeding out”  unable to tell where she stopped and where her partner began. A self-confessed “psycho girlfriend,” she was influenced by many emotional factors from her past. 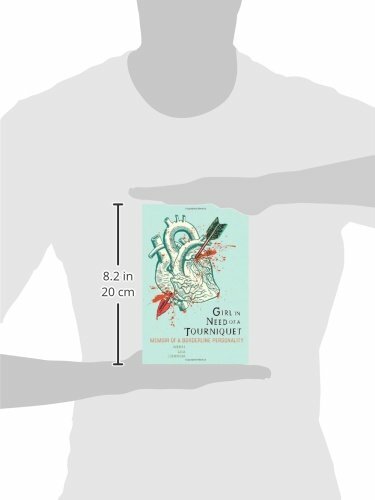 She recalls her path through a dysfunctional, destructive relationship, while recounting the experiences that brought her to her breaking point. 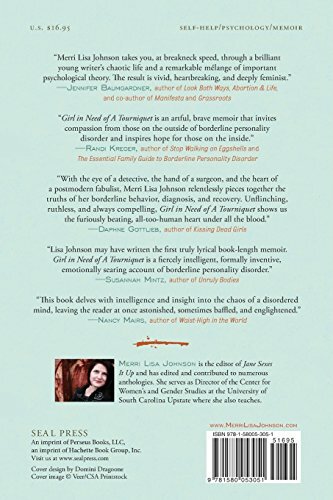 In recognizing her struggle with borderline personality disorder, Johnson is ultimately able to seek help, embarking on a soul-searching healing process. It’s a path that is painful, difficult, and at times heart-wrenching, but ultimately makes her more able to love and coexist in healthy relationships.